Funeral services for Melvyn “Mel” Buren Pinkston, age 90 of Clarkesville will be held on Sunday, January 28, 2018 at 3:00 PM at Fairfield Baptist Church. Dr. Keith Allison, Mr. Keith Ivester and Mr. Larry Banks will officiate with interment to follow the service in Fairfield Baptist Church Cemetery. The family will receive friends at the funeral home on Saturday, January 27, 2018 from 6-8 PM. Mr. Pinkston passed away January 25, 2018. Born on December 7, 1927 in Atlanta, Georgia, Mr. Pinkston was the son of the late M. B. and Jeffie Mae Guthrie Pinkston. At the young age of 9, his family moved to a farm where they worked for sharecroppers until moving to Red Oak, Georgia at age 12. Mel graduated as an Honor Athlete from College Park High School in June of 1945, having earned 6 varsity letters in football, track and baseball. Upon graduation at 17 he enlisted in the Naval Air Reserve as an Officer Candidate and was sent to the University of South Carolina for one term. He also served on the cruiser USS Oklahoma City. At the ending of the war, all active reservists were ordered discharged by the end of the year. Mel attended Southeastern Flight School in Atlanta and earned a Commercial Pilot’s License with Flight Instructor, Multi-engine and Instrument Ratings. He was a Flight Instructor in Atlanta and Dalton and flew more than 10 different aircraft. Mel attended night school at Georgia State University in Atlanta for two years while working for Crane Plumbing Co. before being employed by Eastern Airlines in 1949, where he worked for 36 years; first as an Accountant in Atlanta, then as the Station Accountant in Tampa, Florida. In 1956, he transferred to the customer services department and became Senior Supervisor, and for a time was a Teacher/Trainer. While at Eastern Airlines, Mel traveled to 24 countries in Europe, Africa, Central and South America and Canada and visited 41 states. While employed by Eastern, Mel served in the United States Army for two years during the Korean War. He attended three service schools and was assigned to the 6th Army Headquarters at Presidio in San Francisco. After retiring from Eastern Airlines in November of 1985, Mel and his wife Sandie attended classes at Tampa Bay Bible College for three years. While in Tampa he participated in the Foster Parent program for several years and had a ministry at a retirement facility and was the leader of the senior adults group at Calvary Community Church, an independent, fundamental church. After Mel and Sandie moved to Clarkesville, Georgia in 1989, Mel had a ministry at a nursing home in Cleveland and he also taught Sunday School classes in four different churches while a member of those churches. Over the years Mel built four houses, doing much of the work himself. He also built five classrooms at the Calvary Community Church in Tampa and assisted in the construction of the fellowship hall at Return Baptist Church in Demorest. He spend hundreds of hours in Bible study and wrote or compiled a number of articles and booklets on scriptural subjects including Baptism, Repentance, The Time of Christ’s Crucifixion, Prophecies of Christ’s 2nd Coming, What God’s Word says about Homosexuality, A longevity chart of men from Adam through Jacob, The Dispensations, Judgments, Christ’s Birth Date, The Time Between Christ’s Death and Resurrection, as well as other subjects. Mel’s hobbies over the years included golf, motorcycling, architectural drawing, woodworking crafts, building construction and horseback riding. Mel was a member of Fairfield Baptist Church. Survivors include his wife Sandie Wicklund Pinkston of Clarkesville, sons and daughters in law Kenneth and Emily Kelsay, Kevin and Diana Kelsay, and Kerry and Tammie Kelsay, sister Josephine Blalock, five grandchildren and two great grandchildren. 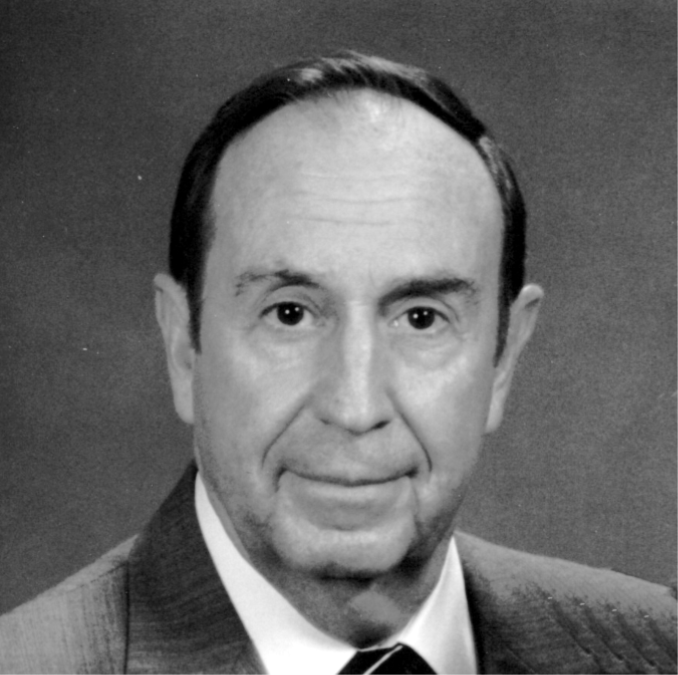 Mel was an active member of the Gideons International – Habersham North Camp since June of 1993 and he served in several offices. It was his wish that in lieu of flowers, memorial contributions be made to Gideons International – Habersham North Camp, P.O. Box 1855, Clarkesville, GA 30523.